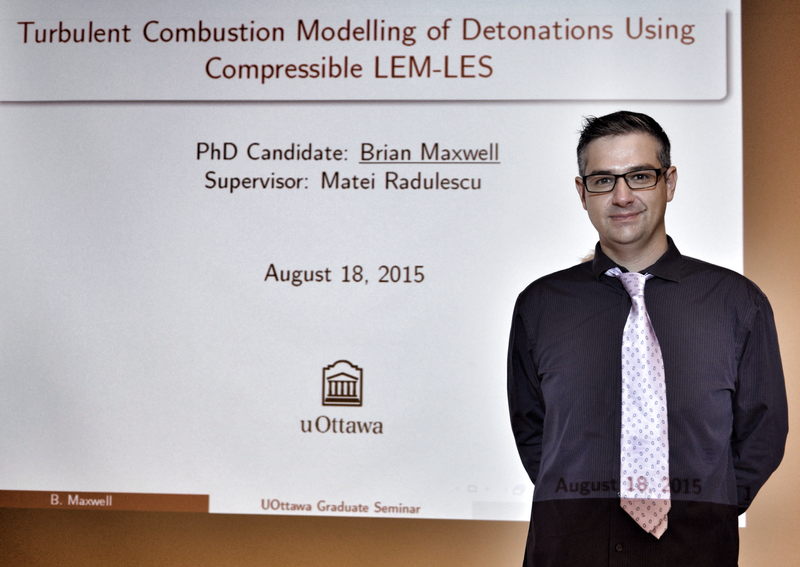 Last Friday, Maxime La Flèche presented his MASc thesis work, performed under the supervision of Dr. Matei Radulescu. 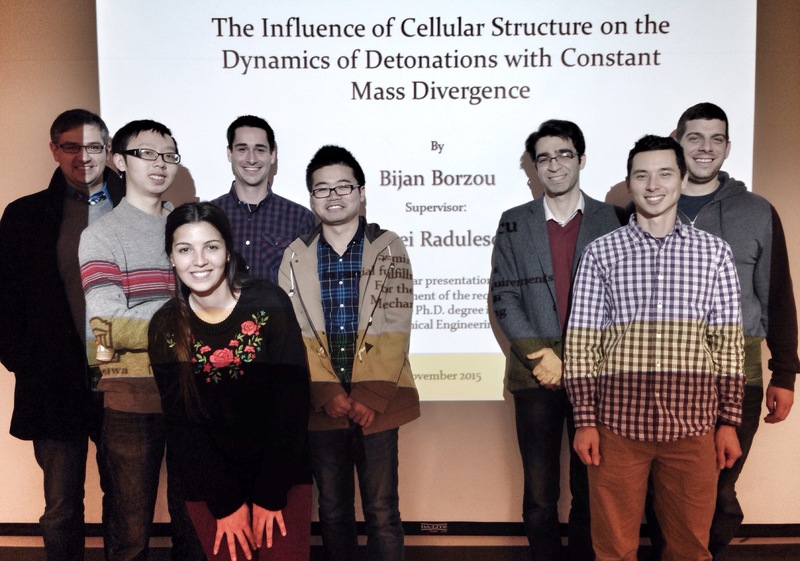 The title of the talk was “Experimental study of the interaction of a shock wave with a cellular flame in a Hele-Shaw cell”. 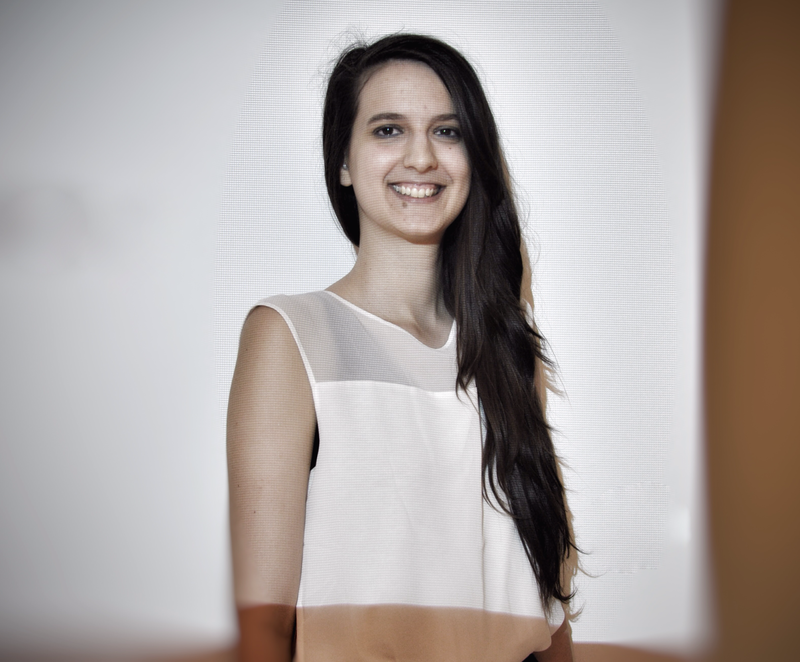 Interesting work – well done, Maxime! 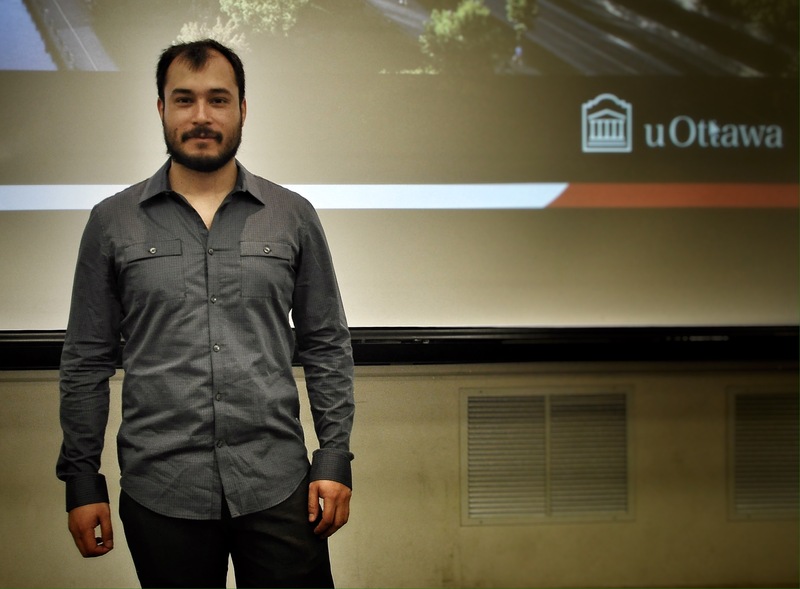 Last Friday, MASc candidate Clayton Fox presented his thesis work titled “Reaction models for hydrocarbon mixtures using continuous thermodynamics”. 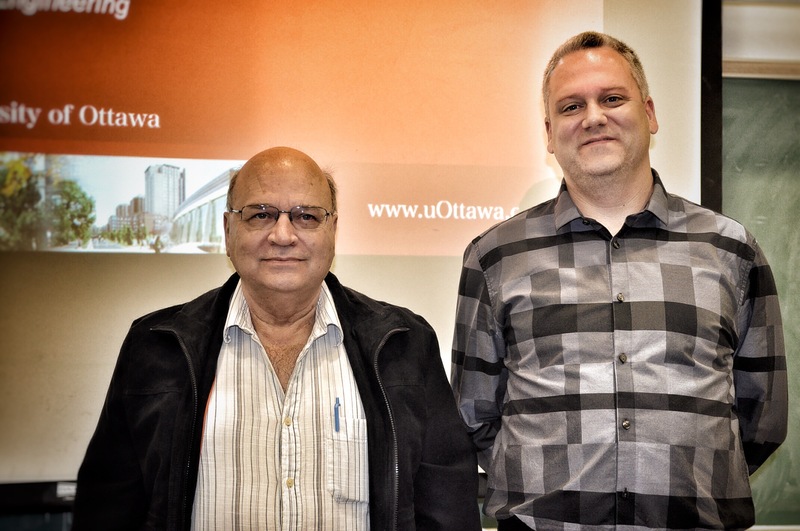 Thesis supervisor Dr. Bill Hallett was in attendance for the seminar. 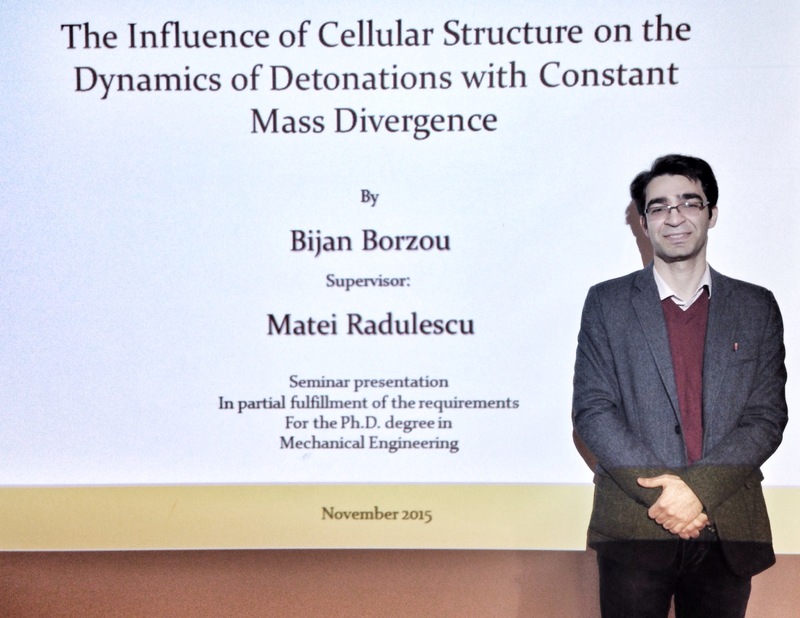 Thanks to both for an interesting seminar! 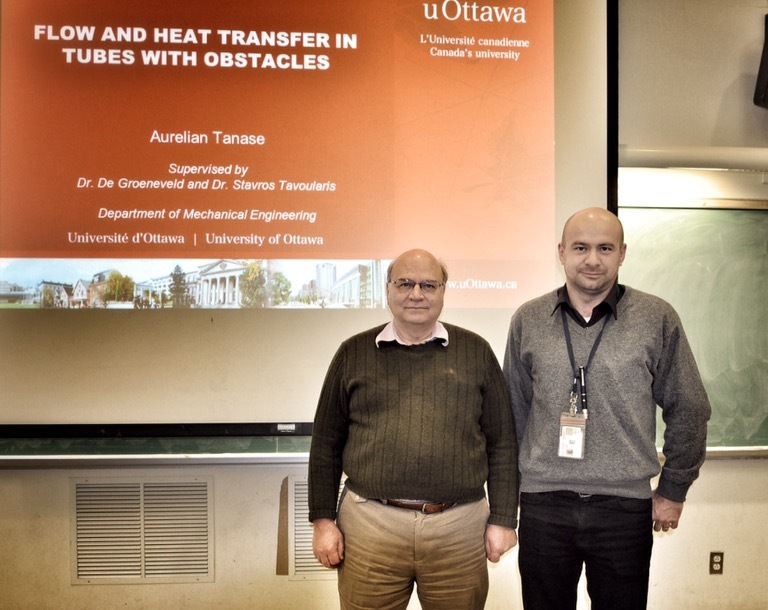 Last but not least for 2016, Aurelian Tanase presented his PhD thesis seminar, with PhD work completed under the supervision of Drs. Tavoularis and Groeneveld. 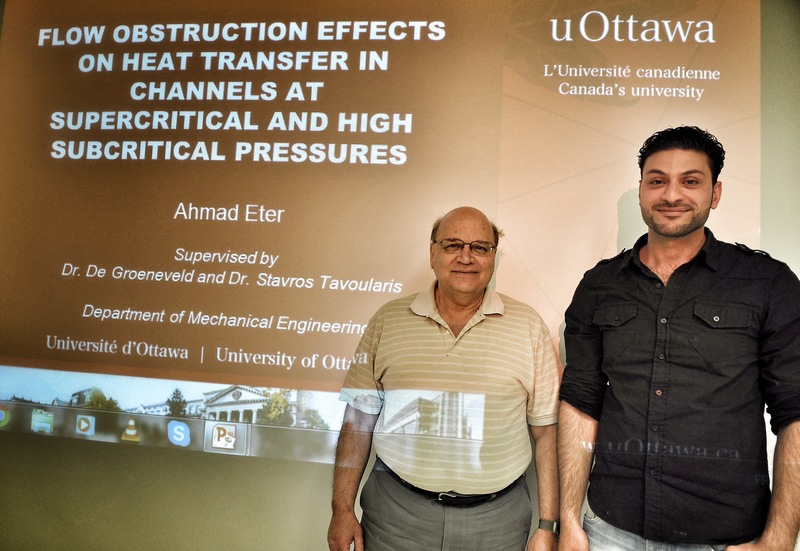 The title of the talk was “flow and heat transfer in tubes with objects”.It was an interesting talk, followed by some delicious shawarma to round out our fall semester. Congrats Aurelian and here’s to 2017! 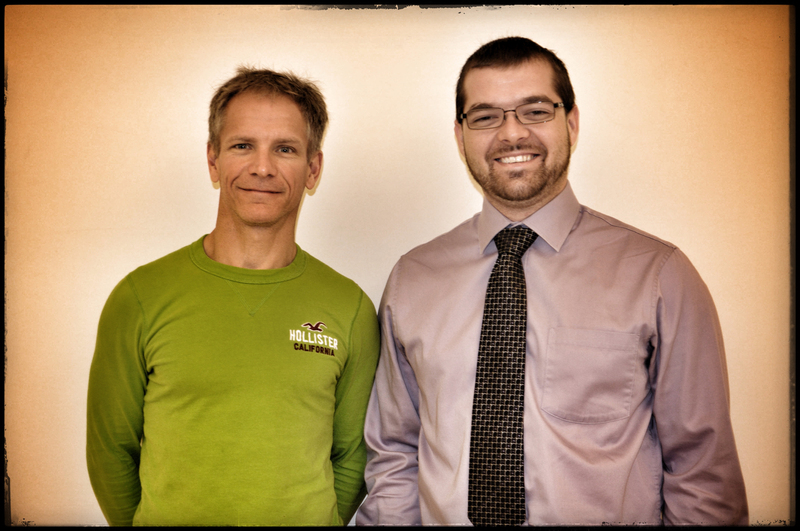 Yesterday, Nathan Kline presented his MASc work, under the supervision of Dr. Stavros Tavoularis. 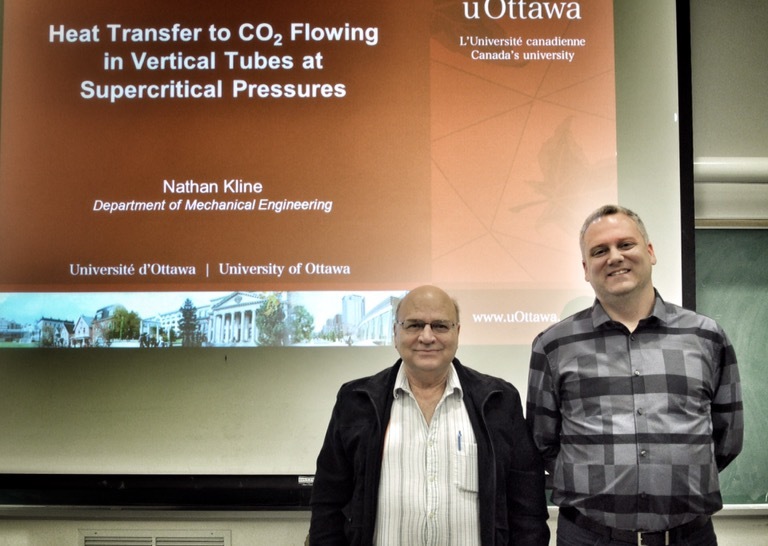 The title of the talk was “heat transfer to Co2 flowing in vertical tubes at supercritical pressures”. Well done, Nathan! It was a really interesting talk, lots of questions afterwards! 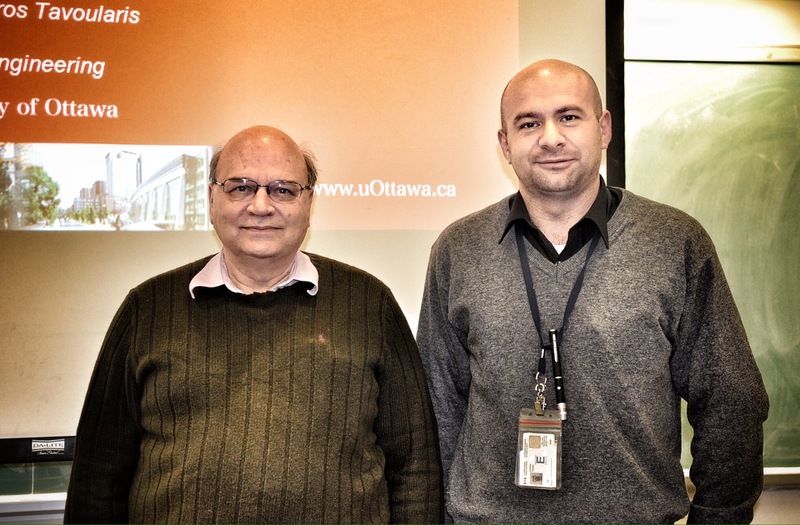 Unfortunately, supervisor Dr. Bertrand Jodoin was unable to attend but I am sure he would have been very proud. The labmates stood in for the supervisor in the obligatory photo. 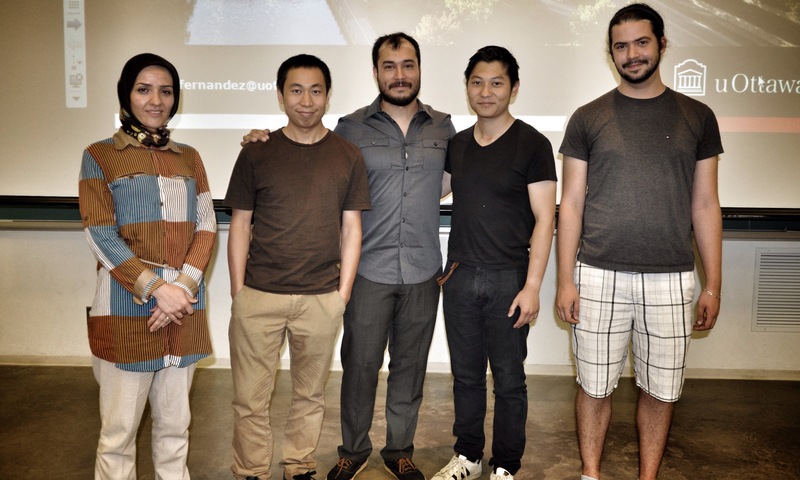 Congrats Ruben on almost completing your PhD! 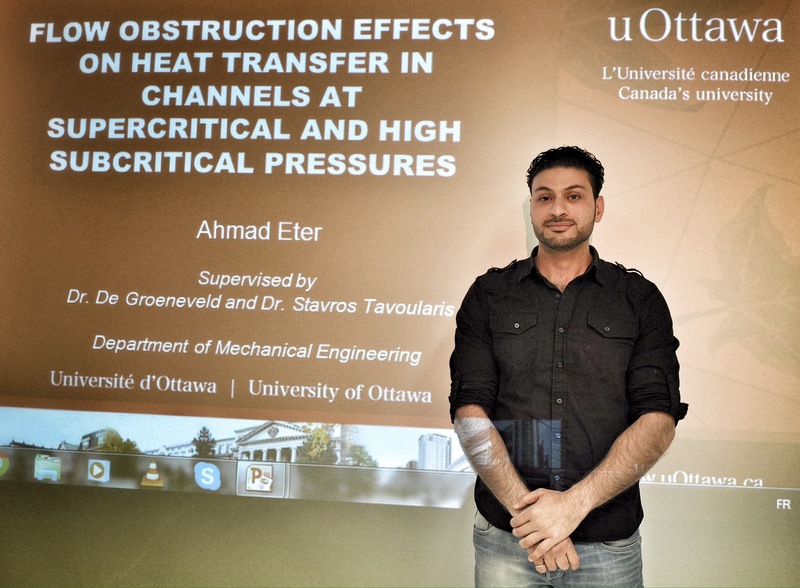 Last Wednesday, Ahmad Eter presented his PhD seminar work on “flow obstruction effects on heat transfer in channels at supercritical and high subcritical pressures”. Supervisor Dr. Stavros Tavoularis was present, although co-supervisor Dr. Groeneveld could not attend. I got a few pics of Ahmad with his supervisor. 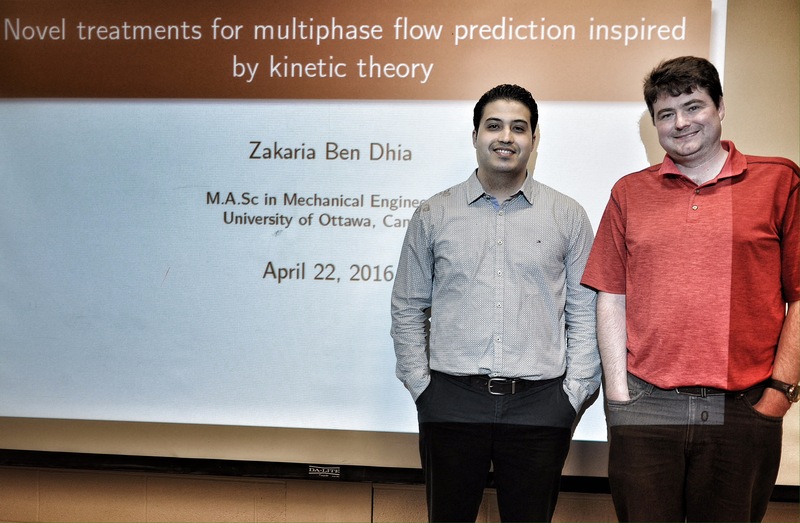 Zakaria Ben Dhia presented his MASc seminar last Friday on “novel treatments for multiphase flow prediction inspired by kinetic theory”. 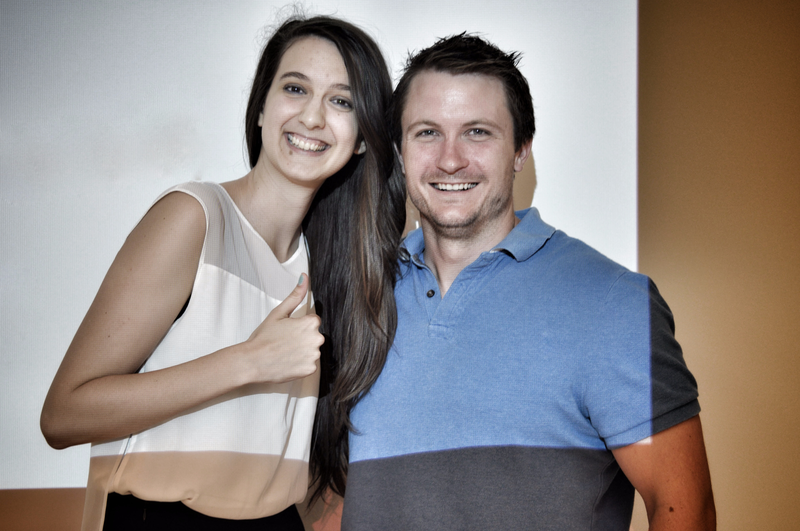 Supervisor Dr. James McDonald was present for the last seminar for this semester! 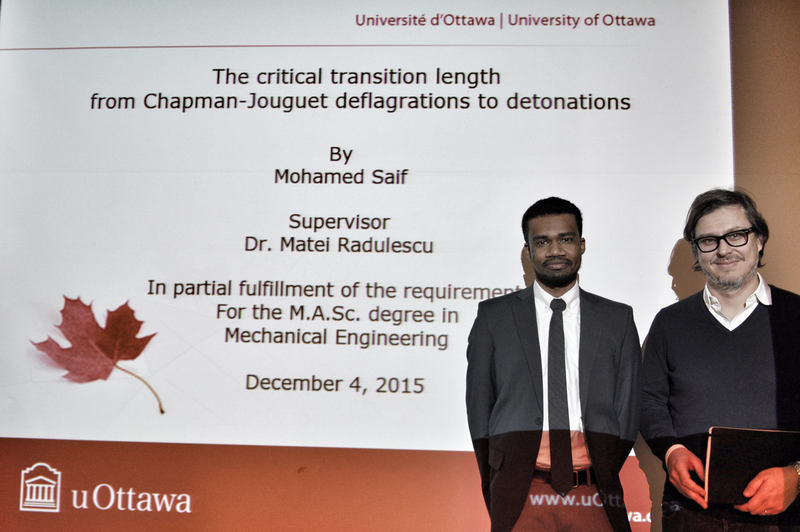 Yesterday, Mohammed Saif presented his MASc thesis seminar on “The Critical Transition Length From Chapman-Jouguet Deflagrations to Detonations”. 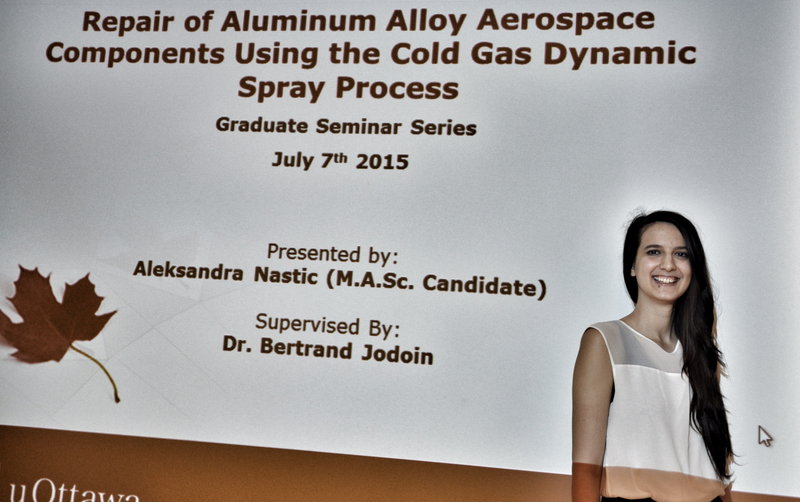 Supervisor Dr. Radulescu was in the audience for support as well as the rest of his research group. 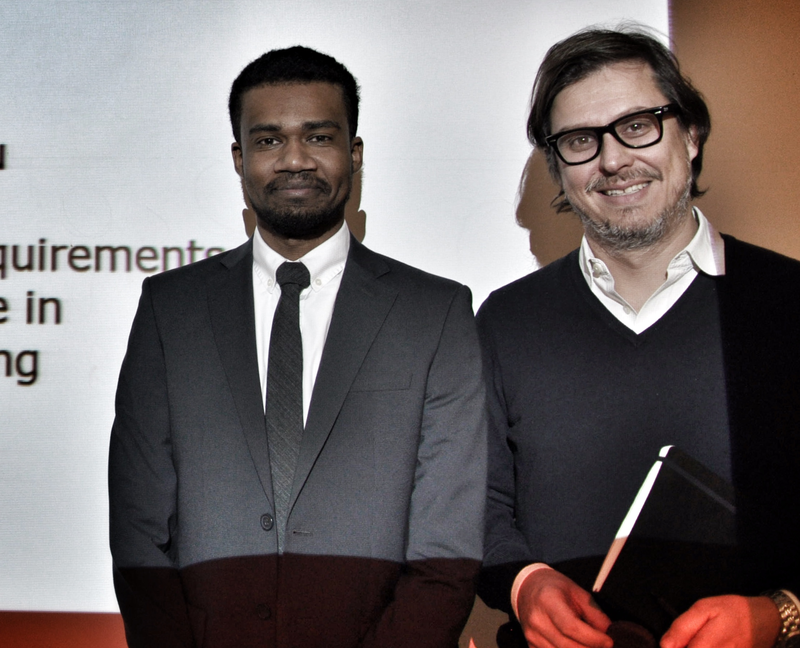 Well done, Mohammed! 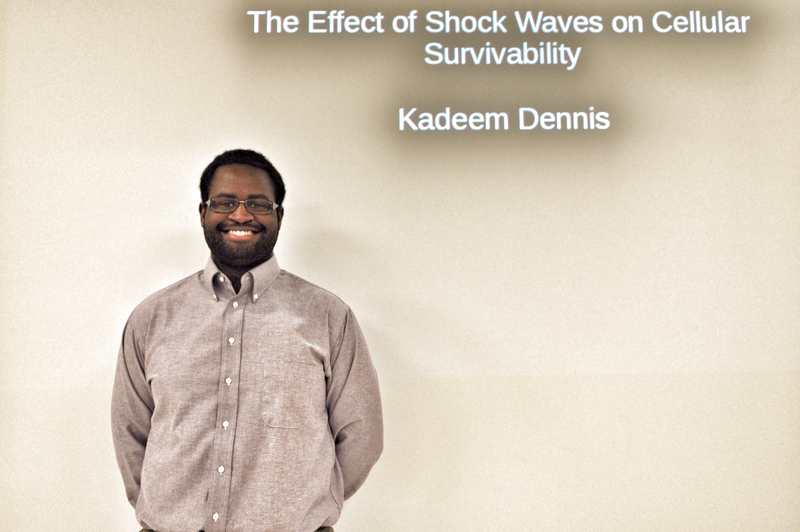 Kadeem Dennis presented the results of his MASc work last Tuesday. 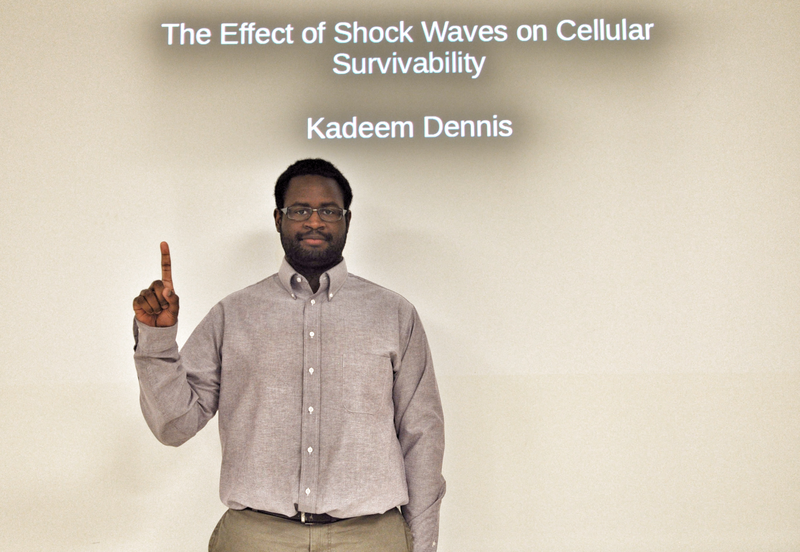 A really interesting talk on the effect of shock waves on cellular survivalists. Cool stuff! 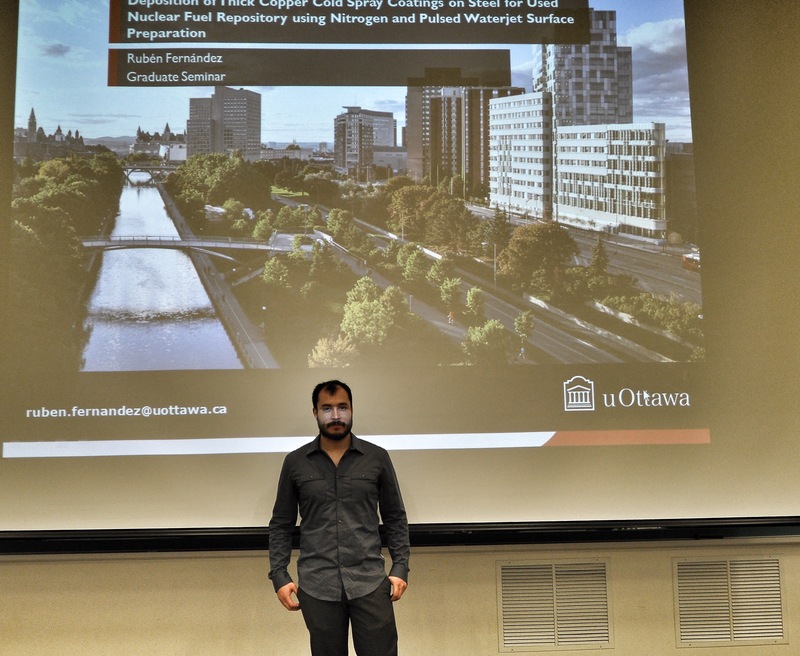 Daniel Cormier presented his MASc thesis work last Tuesday on “Repair of Conductive Layer on Carbon Fibre Reinforced Polymer Composite with Cold Gas Dynamic Spray”. 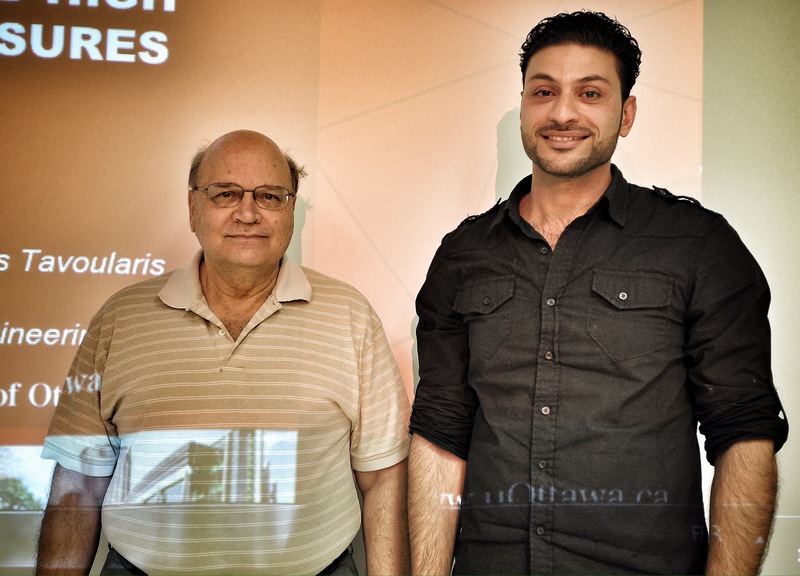 Supervisor Dr. Bert Jodoin was in attendance for the talk. Carbon fibre reinforced composites are known for their high specific strength-to-weight ratio and are of great interest to the aerospace industry. Incorporating these materials into the fuselage, like in Boeing’s 787 “Dreamliner”, offers considerable weight reduction which increases flying efficiency, and reduces the cost of flying. In flight, aircrafts are often subject to lightning strikes which in the case of composites can result in localized melting given the high resistive nature of the material. Aerospace carbon fibre composites often incorporate a metallic mesh or foil within the composite layers to dissipate the electrical charge through the large aircraft. The damage to the aircraft is minimized but not always eliminated. This research aims to elaborate a practical technique to deposit thin layers of conductive material on the surface of aerospace grade composites. Using Cold Gas Dynamic Spray (CGDS), such coatings could be used to repair damaged components. An experimental research approach used to develop metallic coated composites. Using the CGDS equipment of Centerline (SST-P), specific parameters (such as gas temperature and stagnation pressure) were determined for each type of metallic coating (tin-based & copper-based). The use of bond coats was explored in order to attain the desired coatings. Once optimized, these coatings were evaluated with respect to their corrosive, adhesive, and electrical properties following industry standards.